Planning the travel arrangements for a corporate event can be a time-consuming headache. With extensive experience in corporate events, we can do all the hard work for you. Just get in and you can truly relax all the way to your destination, driven by our fully accredited and licensed airport limousine drivers. From your home to the ceremony, from the ceremony to photo shoot and on to the reception, you’ll be chauffeured everywhere on time and in grand style. NEED A LIMO DRIVER IN BAYAREA? We got what you need, call or book online, and be one step closer to stress-free driving. Check our services now! The business world in California is fast paced and always on the go. Our limo drivers are consummate professionals who have thousands of hours of excellent business. There are many limousine companies out there, but only one Alpha Limousine Services. Our tailored offerings, comprehensive variety of limousine services, and customer-first approach are what set us apart as the perfect Bay Area limo hire. Our professional guarantee – to provide you with the most prestigious luxury travel experience – guides everything we do and is the cornerstone of our brand. Offering Limousine and Luxurious Cars around the entire Bay Area. First-Class Cars and Limo Services In and Around Bay Area! As well as catering for Special Celebratory Occasions, we are also available for corporate transport, airport transfer from the Bay Area. We’re equipped to take care of everything – from recommending the best vehicles for your event to transporting everyone with minimum fuss and maximum care. Flying can be demanding – allow us to take some of the tension off! Our airport transfers grant you some much needed comfort during the period of your trip. We guarantee timely arrival at both your pickup address along with your destination, allowing room for anything and everything that may arise before the flight departs. Our airport transfers will make your limo hire or car hire to the airport risk-free, simple, and stress-free. Take the headache out of air travel with an airport transfer from us. We have already been chauffeuring clients to and from airfields in air-conditioned comfort and style for over several years. You’ll be greeted by one of our courteous, professional and well-presented drivers, assisted with your luggage and delivered in safety to your desired destination leaving you free to concentrate on your journey. So when you return home, we’ll be waiting for you at the terminal with a personalised sign to bring you home. Airport terminal Transfers are a vital part of the trip. Use of your time is important in this day and age whether it be Business or Vacation travelling. Let us help you make the most of your time by transporting you to and from the airport comfortably. No driving, No car parking & No worries. Why not allow us to fulfill your domestic and overseas clients for you. We can carry them in comfort and style to your sites giving you the professional edge on your competitors. Our limousine fleet offers a top quality door to terminal airport services, guaranteed to be on time, every time. A smooth, silent trip, every car is kitted out with the latest in technological innovation and comfort to let you get on with life before you take off. Set the stop light on pressure. Don't you feel much better already? We do not believe in surprises, so our rates will always be as agreed. We offer a wide range of solutions to our clients and clients. With our aim to constantly adhere to your travelling requirements and to always offer you the most affordable solutions, we bring you more and more options to make travelling a beautiful experience. To add to that fine list of solutions is our Bay Area Airport Transport Service. We've been known to help make travelling a remarkable experience. Allow us to fly you through the roads of Bay Area, providing you with a first class services that you will find nowhere else. We are Bay Area's top one-stop shop when it comes to corporate and business travel. We concentrate on dealing with personal and executive assistants, and our billing center helps make booking transportation services in Bay Area as simple, efficient and hassle-free as they possibly can. Whether you need a company car we are capable of accommodating you. If you require the maximum in convenience & luxury for your transfer, then our limousine service is the answer. Our pristine fleet may be booked both on a ‘direct transfer’ or ‘as directed’ basis. We're the premier San Francisco Bay Area Limousine and Car Service provider. We provide the highest possible scored support service and fairest prices for our Company & Company charters. We are experienced expert chauffeurs that can assist our VIP clients to excel and go over the amount of success you shoot for. We am aware of the area and we understand luxury service. 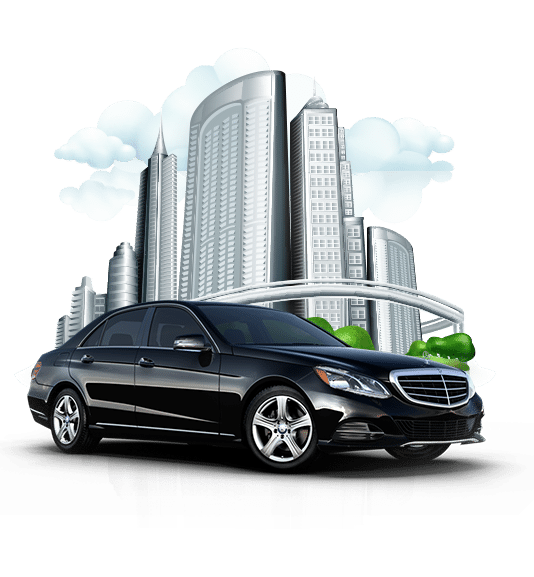 We are going to help you choose whether you should hire driver with the car for many hours or simply reserve point to point services. For the greatest company transport, travel in comfort and style with our professional, discreet chauffeurs. Travelling in a luxury chauffeur driven limousine lets you care for your business. Your time is important, so don’t throw away it driving or waiting in queues for taxis. Walk straight into a luxury limousine, sit back and unwind or keep on working as you travel in air-conditioned comfort to your next corporate destination. Discreet, professional chauffeurs ensure you will arrive on time, refreshed and relaxed. When it comes to the wedding party day, don’t accept anything less than the ideal. A wedding event car for your wedding is the first step in the correct course! We deal with all of the wedding day transport services with a level of professionalism, trustworthiness, and beauty that you won’t find anywhere else. Dedicated wedding coordinators are at your service all the way through the week, while hassle-free application forms and flexible payment structure remove any not needed stress from the experience. Our unique combination of modern cars and traditional, yet sophisticated car hire services ensures that your wedding ceremony day is one you won’t quickly stop thinking about. We have tailored some offers for you to choose from concerning your wedding day application form for your wedding day transfers. Wedding ceremonies are the probably one of the most nerve racking situations in a couples life, well with our vehicle deal and top quality of service you will not have to be worrying. We can provide to you white sedans dressed in whatever color you require. Our chauffer driven winery trips are tailored to your own style. Your own motorist will make sure you are dealt with like a VIP as you sample wines from a number of the top Valley wineries. Kick back, unwind and even take in the scenery as your designated chauffeur takes you from winery to winery and then in safety back in your own home or accommodation in style and convenience. we offer personalized and exclusive Napa wine tours to the world famous Napa valley at reasonable prices. Our exceptional price sets us aside from other Napa wine excursion companies. We’ll make your Napa wine tour one of the most pleasant and unforgettable visits you’ll ever have. We offer an array of vehicles accommodating between 1 to 18 people. They’re all new and immaculate, with luxurious black leather interiors, climate control, extended leg room and bottled water. We can always accommodate last minute booking and reservation, please call us for availability.